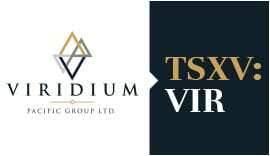 March 26, 2019 (Source) — The Board of Directors of Viridium Pacific Group Ltd. (“Viridium” or the “Company”) (TSXV: VIR) (OTC Pink: VIRFF) is pleased to announce the appointment of Ms. Kamini Hitkari to the position of Chief Financial Officer, commencing on March 26, 2019. Ms. Hitkari joins Viridium from Aurora Cannabis where she was the Vice President of Strategic Finance. Previously, Ms. Hitkari was with HSBC Bank Canada for over ten years at its head office in Vancouver, where she was most recently a Director of Finance for one of HSBC’s lines of business. She began her career with KPMG (Victoria) earning a CPA, CA designation, and subsequently moved to PricewaterhouseCoopers LLP (Vancouver). She holds a Bachelor of Commerce from the University of Victoria. Ms. Hitkari will succeed Ms. Winnie Wong, who has served as Viridium’s Chief Financial Officer since 2018 and will remain as the Corporate Secretary of the Company and a strategic advisor to the Company during the transition period. In addition, the Company issued stock options to its officer that will be exercisable to acquire 250,000 common shares at $0.65 per share until March 26, 2022 and granted 181,250 RSUs to its directors and a former director, of which 50,000 vested immediately into common shares and the remaining 131,250 RSUs will vest 12 months after the directors resign.